Options to use upper or lower pulleys. - Two nylon handles with foam grip included. - Two ankle straps included. - Compatible with Standard (1”) and Olympic Plates (2”). 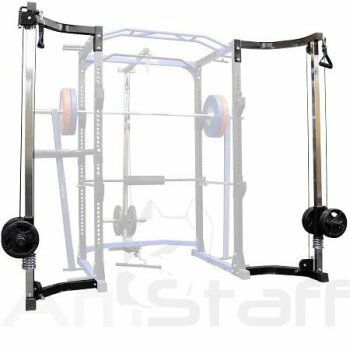 - Power Rack, Weight Plates, Strength Bands and Olympic Bar are not included.